Download the BoxHotel app free in the App Store. Once you have registered, you can manage your reservations. Your app replaces the reception desk! Check in with your smart phone and get your room key in the app. There are no cards or keys. Open all doors and your assigned room with the key in your app. Look around the app. Nearby businesses offer specials or discounts for sightseeing, food, and events. The reservation and processing functions in the BoxHotel app are just as simple and practical as our BoxHotel furnishings. Anyone who has ever stayed in a traditional hotel knows how complicated the entire process can be. Even if most reservations are made online these days, check-in and use of the room often relies on hotel staff. Service times and house rules must be . The key must either be left at the front desk every time you leave the hotel, or you must carry it around at all times. There’s a hefty fee if you lose it. The main entrance is locked at a certain time and you need another key for that door. Early check-out requires arranging for hotel staff to be present. All this is a thing of the past with the BoxHotel App! We’ve digitized the entire process from reservation to check-out, so you no longer need staff. You only need a smartphone and our BoxHotel app! HOW DOES THE BOXHOTEL APP WORK? First, download the BoxHotel app, available for both iOS and Android. The app is 100% free! A one-time registration is required, which is also free of charge. Then you can make and manage reservations for our BoxHotels using the app. Even check-in takes places via the BoxHotel app, so your smartphone replaces the reception desk! You will receive your room key digitally on your smartphone. This will turn your phone into a door opener for the BoxHotel including your room door. So, you have everything you need in the palm of your hands and you are not dependent on hotel staff. They annoying carrying-around of a physical key is eliminated. As a result, you don’t have to return anything at check-out. 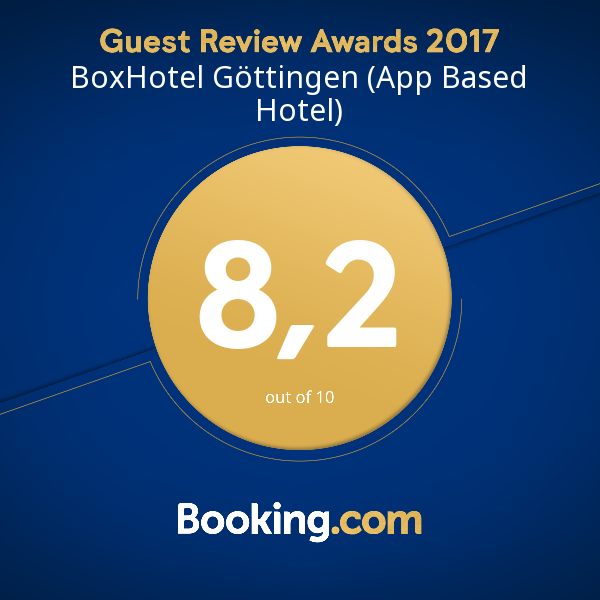 And to make your stay even sweeter, the BoxHotel app offers you special offers and discounts for sightseeing, food, and events near the BoxHotel!